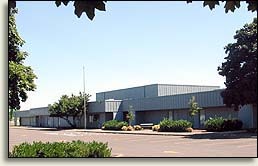 Periwinkle Elementary School was built in 1977 with an addition of a four classroom building in 2016. Our current enrollment is 445 students with three classes per grade K-4 and we will add an additional third 5th Grade class in the 2017-2018 school year. Our ethnic breakdown is 69% White, 23% Hispanic, 1% Asian, 1% Black, and 6% Multi-Racial. We currently have 52 students enrolled as English Language Learners. Our current Free-Reduced Lunch count is 60%. Our Positive Behavior Support program ensures that all students feel safe here at Periwinkle and learn to be respectful, responsible citizens of our school community and beyond. We take pride in our positive school culture and celebrate achievement, growth, and behavior weekly. Learning and growth is at the forefront of our mission at Periwinkle. We have a highly trained and motivated staff that genuinely cares about student learning. Our teachers plan together with common goals and instruction. Our classified staff are caring, trained individuals that support the classroom instruction as well as supervise students at play. The office staff are positive, professional, and have our school running efficiently with great care. The building is clean and safe thanks to our custodians and students are served with a positive attitude in the cafeteria. Periwinkle is also on a mission to incorporate educational technology. Our vision is to have 1:1 Chromebooks to students grades 3-5 by the end of 2018 school year. Currently our 5th Grade classes have 1:1 Chromebooks and are able to to differentiate lessons that support our math, language arts, and writing curriculum. They have also started a school newspaper utilizing Google Docs. Our parent club, Parents Teachers Together, is great support to our school. They host movie and science nights, bingo, and our annual barbecue. Their funding supplies classroom grants, families in need, technology purchases, and recently playground equipment. We are so fortunate to have family support and grateful for the time and energy that we receive from PTT. What is so special about Periwinkle? To be honest, it’s the people. Supportive parents, professional, skilled staff, and most importantly, Safe-Respectful-Responsible students who love their school.